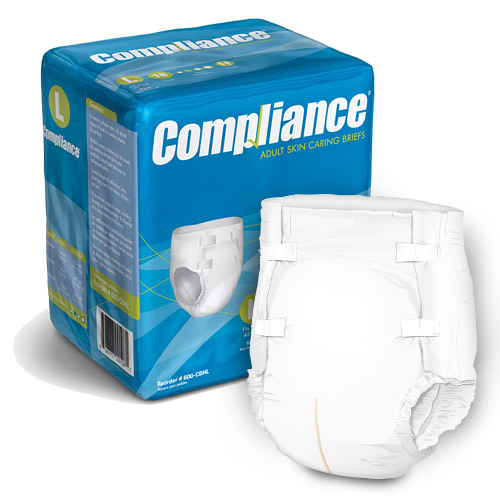 Compliance® Adult Skin Caring Briefs have a breathable, cloth-like design for dryness and comfort. 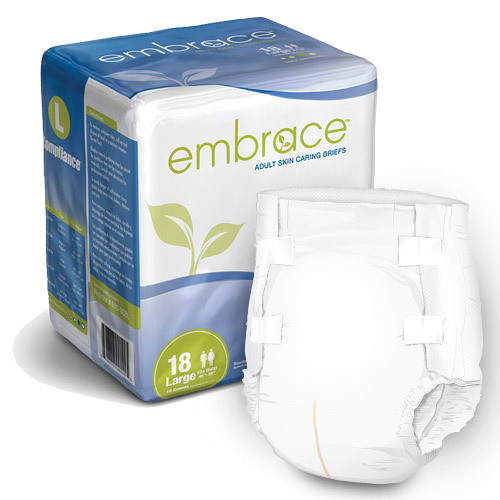 Embrace™ Adult Skin Caring Briefs offer a cloth-like fabric with an enhanced acquisition zone for dryness and comfort. Our exclusive Embrace™ Adult Skin Caring Underwear offers a comfortable, discreet fit. 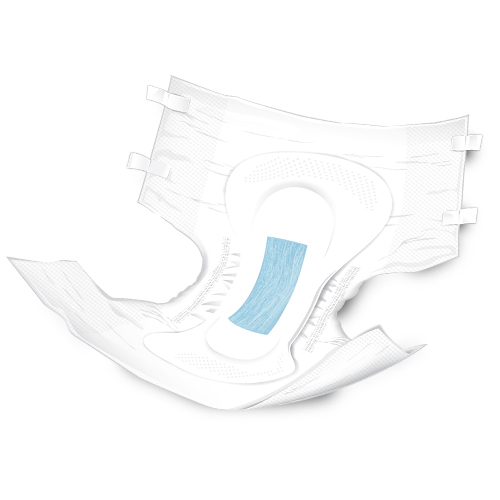 The premium dual core features a high-loft, non-woven acquisition layer for faster absorption. Compliance Adult Skin Caring Briefs with Full-Length Tabs are a great value for skin-friendly comfort and dignity.